So, for a while now, the ladies of LTWF have wanted to find a way to take this site to the next level. Since LTWF started in fall 2009, we’ve grown and grown and grown, both in terms of our wonderful community and in terms of our own personal development. It has been exciting and exhilarating and one of the greatest experiences of our lives. But a few months ago, we asked each other: what if we changed things up a bit? What would we have to do to take LTWF as it stands and make it into something bigger—something even more awesome? In order to grow, we had to undergo a major transformation. We’d have to take the best parts of LTWF and shape them into something new. And to do that, we’d have to leave LTWF behind. Our name, and our “Fictionpress authors only” background. Both of those things are closely tied—our LTWF name CAME from the FP website. And now that we’re no longer keeping our ranks closed to the FP community, it made little sense to hold onto the name. So, today is the last day of Let The Words Flow. Or, LTWF as LTWF. After today, we’ll be closing down the site until January 9th, so we can have time to organize, to recharge, and to make sure our new site is in order. We’ll have our own domain name, a brand new look, and some new, amazing members. We’ll have a new structure, new content, and a new focus. All of us in LTWF will be there—and even though our wordpress site will no longer be active, we promise that none of the closeness and intimacy will be lost in the transition. We are so, so phenomenally excited for the change to Pub Crawl. We’ll be spending our launch week introducing our new members, who are all fabulous, warm, and talented people. And we’ll be doing a MONTH of giveaways (from ARCs to critiques to agent pitches) when we launch in January. So, this is our last post on this site. And, in honor of that, we thought we’d do one final Question of the Week—one that we hope you guys will participate in as well. Thank you all so much for your support, for your enthusiasm, for embracing us—for making this into a community that we’re proud to be a part of. For making LTWF into a home for aspiring and published writers. For celebrating with us, commiserating with us, for laughing and crying with us. Thank you for two years of memories—two years that have changed all of us in every possible way. Thank you—thank you from the bottom of our hearts. It has truly been an honor. Email us at letthewordsflowblog (at) gmail (dot) com! What has Let The Words Flow meant to you? I don’t think there are enough words to describe exactly what LTWF has meant to me. I’ve tried to write this at least six or seven times, but I couldn’t seem to fit in everything I wanted to say. I’ve resigned myself to the fact that, try as I might, there is just no way to properly express how I feel about this place, these ladies, and all of you. LTWF scooped me up a year and a half ago, just as I was beginning my internship. It was my first real publishing job, and they’ve since guided me to where I am now. I’ve learned so much about this industry and writing because of them, and I could not be more grateful for their help and insight. Not only did they keep me focused on my career, they’ve helped me hone my writing skills, and I can safely say I’m a better writer because of these ladies. But more than that, LTWF has meant unconditional friendship from some really incredible people. They’ve been there to support me in all of my crazy schemes, from numerous writing projects to graduating to moving to New York. LTWF has meant late-night skype dates, far too many inside jokes, and weird emails that never fail to make my day. These ladies have become some of my closest friends, and I’m so excited to move forward with them. As amazing as LTWF has been, Pub Crawl is going to be even better! LTWF, I raise my glass to you. What has LTWF meant to me…wow… That’s such a hard answer to condense into words. All I can say is that joining LTWF was without a doubt the best thing that happened to me in the last year. Better than getting an agent and better than getting a book deal. Like Kat said, it’s so much more than just a writing blog… These girls and you readers are my best and dearest friends, and I wouldn’t know any of you if it weren’t for LTWF. How can that not mean the world to me? Once upon a time, there was a girl who had no idea what she was doing. When she saw her favorite blog was taking applications, she said, “What the hey? Worst thing that happens is that I don’t get in.” But she did get in…and she found something she had never expected–never even believed possible from “just a blog”. She found community, support, and fun. She met new people through comments and chats. She learned lots and lots and lots from the other LTWF-ladies and she learned even more from the LTWF-readers. And the days passed and the blog posts piled up and she thought, “Surely I should be sick of this by now? Surely after a year, this whole blogging thing would feel stale…?” But it didn’t…and then she realized why: LTWF is a community of writers and readers. Pub Crawl will be a community of writers and readers. These are people who live their lives around STORIES. And there are always new stories to experience and always new stories to share. How can that ever get “stale”? See you on the flip side!! The last time we talked about what LTWF meant to us, my answer was pretty long. And all I can think of is, how do I top what I said last time? How do I not repeat myself? And so I’ll keep things short and sweet (hopefully). LTWF has meant meeting amazing people, geeking out over books, and being part of an amazing community. To all the girls at LTWF: You’ve become some of my closest friends, and I’m forever grateful to be able to spam you with emails at ungodly hours, talk via Skype, and make delicious cookies (here’s looking at you for that last one, Biljana). To all our readers: You have all been awesome, whether you’ve been the constant commenters, the silent creepers, or the ones who sent emails with suggestions / cool links. You’ve made LTWF worth it; worth all the late-night scrambling, hours and hours of blog post writing, and endless tweets. Without all of you, LTWF would’ve been nothing – and I hope you all move with us over to Pub Crawl in January. We’ll be bigger and better, but we’ll still be nothing without you. Cause in all honesty, LTWF has been a community of amazing people – and without people to talk to, us girls would just be talking to ourselves. So thank you! What has Let the Words Flow meant to me? Others have used analogies to answer this (almost impossible to answer!) question, so I hope no one minds if I use one more. When I was in college, there was a specific place on campus where I knew I could always find a friend or two. To my friends and me, this was “our spot,” and whether a half dozen of us were there or just two, it was always the place I felt welcome and understood. When I moved on from college, having a place like that was one of the things I missed the most. It had been so wonderful to know that – whether I had five minutes or five hours to hang out – I had a little sanctuary where I knew I would find people who really “got” me. For me, Let the Words Flow has become a virtual version of that cozy spot on campus. I always know I will find friends at Let the Words Flow, whether those friends are the other bloggers or our fantastic readers. I know I will find wonderful conversation in the comments! I know that whenever I come to LTWF, I will find like-minded people who know what NaNoWriMo means, who don’t think I’m crazy because I have a two foot high stack of unread books beside my bed, and who will always encourage me to keep going toward my writing goals. Let the Words Flow has been a cozy sanctuary to me, and I feel so fortunate to have found it. I look forward to Pub Crawl, in part because I know that this sanctuary will still be there, but also because I know it will be fresher and broader, and that I will meet even more wonderful writers and readers. Can’t wait! The mentality of being a part of LTWF is incredibly hard to describe. It’s a group of friends, but it’s also a responsibility. We talk constantly, but we also work, and so I suppose it’s sort of like being in school 🙂 The ladies of LTWF are not only my friends, but my classmates, and they’ve given me an education I could never find in any college or university. I like to think I bring a little something to the table, but the truth is they have mostly been MY teachers. Being in LTWF changed my life in a big way. I had an agent but was still a hopeless noob. I didn’t know anything behind the scenes of the big, scary publishing world, and didn’t have the resources to learn. LTWF changed all that. It made my writing career an intimate and REAL part of my life, where before it had been a secret hope and dream. LTWF was the only safe place I could retreat to during some of the most difficult times in my life. I am so eternally grateful to my friends here for their warmth and wisdom. We are SO excited to be adding our awesome new members and expanding our audience with a new website and brand. It is our hope that we can reach and assist more writers than ever before, and yet… and yet… I will definitely miss saying LTWF and how easily the acronym flows from under my fingers. This was the best time, you guys. Thank you so much for letting me be here. It really is hard to put into words. I can’t imagine life without these people. They listen to me rant, they laugh at my (stupid) jokes, they commiserate with me when frustrating things happen, and they support me to no end through griefs. In return I try to do the same. We share in our joys and sorrows. People throw around the word “family” but that’s truly what this feels like. Losing them would be like losing family. It’s really gotten to a point where I can’t imagine my life without it. I don’t know where I’d be right now. Probably still angsting over whether it’s financially prudent to be a writer :P.
It is insanely hard for me to describe what Let The Words Flow has meant to me in just a few paragraphs. It’d be hard to explain in a few PAGES. When I started my road to publication, I had very, very few friends in publishing. In fact, I’m pretty sure that for a while, Mandy was my only friend I had that was agented and (soon to be) published. I used to read author blogs and twitter feeds and wish—with all my heart—that I had wonderful writer-friends, too. Sometimes, it felt like I was on the outside, watching this wonderful world through a window. Though it might not have seemed that way at the time, there were moments when I felt really, truly lonely. LTWF changed all that. Ever since LTWF started, not one day has passed where I have ever felt alone. Since LTWF started, I have never felt like I was on the outside, looking in. Since LTWF started, I have always felt like I belonged. I have had many, many friends in my life, but I can say—without a doubt—that the friends I have made in LTWF are the friends of my heart. The ones that I’m fairly certain I couldn’t live without. They make my world a far, far better place. They make me a better person. So, more than learning about the industry, more than learning about writing, I’d say that LTWF has meant unbreakable and irrevocable friendship. And no matter what happens on the road ahead, I will be forever grateful for it. Vahini Naidoo: A year ago, when we did a similar post, I said something to the effect that LTWF meant home to me. It meant community. It was, to stretch a thin analogy comparing books to babies yet further, the community required to raise my book babies. At the time, I meant that very, very sincerely, and I still think it’s true. LTWF is a home, a haven on the internet, but over the past few months I’ve come to realize that LTWF also means something else to me. This blog doesn’t just represent home, comfort and safety. This blog represents growth. This blog is about all of us, writers and readers, aspirers and dreamers, at different stages of progress coming together and learning and growing. This blog is an adventure, fun and exciting and awesome, and I have to say that you guys (both my fellow bloggers and readers) are the best companions a girl could hope for. So that’s what LTWF is to me — a journey. One that I hope you’ll share with me, and the other LTWF ladies, as we transition into Pub Crawl. I cannot *believe* it’s been a year and a half since I first joined LTWF. On one hand, how did time pass that quickly?? On the other, what do you mean I haven’t known these girls half my life?? When I joined back in Spring of ’10, I didn’t even have my first draft of WHAT’S LEFT OF ME finished. My entire writing/publishing since then–finishing that first draft, revising, querying, agent offers, more revision, submissions, selling–is utterly tied to the girls here at LTWF. They were my first critique partners, the first people I told about anything exciting that happened. They taught me so much about writing and about publishing and made me believe harder than ever that getting publishing *now* was doable. I also now count them among my closet friends, and that’s even more important to me. Being a part of LTWF opened my eyes to the vast network of writers and readers on the internet. I’ve met so many awesome, amazing people through LTWF–and from all over the world! You guys have all been so fantastic, and I’m so glad to have met you. Here’s to continuing all that as Pub Crawl! Note: an updated version of this post is now up on our new blog, Pub(lishing) Crawl! Click here. Disclaimer: I may or may not be tooting my own horn here (just a little). I’m also not going to talk about writing – I’m going to be talking about my career and the publishing biz for those of you who are interested. Ah, publishing. The glamorous life of schmoozing with authors, publishing great books, spending extensive amounts of time reading, and a whole lot of talking (or so people like to think). When people think of the publishing industry, people think of writers and editors. When writers think of the publishing industry, they think of agents and editors and bookstores and that damn slush pile. But people don’t really think about all the other aspects of publishing – all the marketing and the publicity and the sales people that lead to the things an author truly wants; for their books to be on the shelves in stores and do well. When I first started out in this industry, my dream job was first editorial – but I didn’t even know what type. Then I realized that I loved substantive editing – looking at the big picture of a manuscript such as plot, characters, etc. And then I interned at a literary agency and thought, “this is what I’d love to do”. But ultimately, I wasn’t comfortable with the thought that I would probably not make any money for a year as a literary agent (props to all of you lit agents out there!) – especially since the hubster self employed. I wanted one of us to have a stable salary. And so I looked for other things I wanted to do; other areas of publishing where I could fit in. During high school and part of university, I had worked at a book wholesaler, selling to schools and libraries. I took English Literature in University, went to school for Publishing, and figured my experience would get me places fast. But it wasn’t easy – publishing is VERY competitive (especially here in Canada). The only way to get an editorial gig in-house is to go freelance for years and then hope some editor somewhere kicks the bucket (sad, but true). And I wasn’t willing to be that patient (especially since the majority of publishing peeps are healthy, unlike me). So I looked into publicity. And marketing. And sales. I was already familiar with sales from that wholesale job, and familiar with online marketing thanks to this blog; but when I began working at this sales agency I realized that I didn’t know a lot. Marketing, publicity, and sales are all major aspects of publishing, and all as important as editorial. I didn’t realize that publishers had sales reps who went to accounts (bookstores, wholesalers, gift stores, etc) and sold them their list. I don’t know what I thought – maybe that if a book was published, people just magically carried it. I didn’t realize you had to SELL to the sellers. I’m lucky to be working for an agency repping some of the best publishers out there. Over 30 of them. And my job is to pick out what works for stores, which books deserve to be highlighted. Selling is fantastic. Selling means talking to people about great books. It means getting excited about a new list every season, and making an impact on the people who, in turn, impact your average reader just by shelving a book in their store. It means grabbing a coffee, chatting, going through catalogues and samples, and learning what some book and gift stores have preferences for. It means going to book fairs and gift shows and finding new homes for books. I put the books out there – I can give the little guys a chance. And I think that’s pretty amazing. Will everyone listen to me, or have the same taste as me? Probably not. But I can try my damn hardest to get a book on the shelves if I really believe in it. And you know what’s even more awesome? That I can actually do that now. Because I’ve been promoted to Sales Representative for Central Ontario and Inside Sales (told you I was going to toot my own horn, haha!). I’m going to be able to drive around with catalogues and samples in hand and I’m going to get to geek out over gorgeous covers, brilliant authors, and fantastic books with other people who love them as much as I do. So those editors who sit in a chair for hours and hours, working on an author’s manuscript? I might not be that person, but I am one of those people convincing stores to stock and sell your books. And to all you published and soon-to-be published authors out there – on behalf of sales reps everywhere, I’d like to say, “You’re welcome”. Vanessa is a newly promoted (!) Sales Representative for Central Ontario and Inside Sales at Kate Walker & Co., a book and gift sales agency located in Toronto. She also has a book publishing certificate under her belt. Currently, Vanessa is working on RIFT, a YA fantasy novel, and a Children’s non-fiction series. She also geeks out over stuff at Something Geeky. You might recall that Sarah and Sammy kicked off the Why We’re Not As Cool As You Originally Thought series. Well, today I thought I’d share with you a bit about myself and my day-to day life. But what you first need to understand is that I have a problem. I’m super busy (or at least I feel like I am). And when I’m not, I procrastinate. A lot*. From the moment I wake up (at 6:00 am), to the moment I go to bed (10-10:30 pm, cause I ain’t no youngin anymore), I am busy. My commute, my work, and subsequent commute back home leaves me feeling a tad bit tired. Then there’s dinner, catching up on TV shows I adore (Glee, The Office, Fringe, Modern Family, and Game of Thrones to name a few), perhaps a bit of reading here and there, and a husband I like to spend time with. And that’s not including the times when awesome games like Portal 2 come out (which then occupies even more of that spare time, if not all of it). Then there are the work events, where I try to network with as many fellow publishing peeps as possible (despite my bouts of social awkwardness). Or there are the times I go out to catch up with friends after work for a couple of hours. Does this make me any more busy than the average person? Probably not. Which brings me back to my problem: I procrastinate. For all that I claim to be perpetually busy, I still somehow end up spending at least 35-50% of my time on my laptop. I might be reading my fave blogs, checking my email, or scanning my Facebook or Twitter pages. I might even be writing up book reviews, browsing through Etsy or Tumblr, and peeking at my Goodreads account. So where do I find the time to squeeze in some writing? Here’s the thing: I don’t. That’s a scary thing to admit to people I admire and respect; that’s a ridiculously frightening thing to tell all of you. I mean, here I am offering you advice; here I am telling you that you should write and read as much as possible. I know, I know. I should be better. I should be more disciplined. I should be at the very least trying to meet a daily, or weekly, or even monthly word count as a means of motivating myself. I have wonderful CP’s who constantly beg me for the next chapter. And my response? I struggle with finding time to write. And even when I do convince myself that I should work on RIFT – even when I finally have that document open, staring at me, I get distracted. I procrastinate. I’m surrounded by people who write so much more than I do; by people who go through the day looking forward to the chance they get to sit down and write. People who are so much more dedicated than myself; who schedule time to write. I did that once. I was good at finding the time. But now I seem to doubt myself a lot more. Now I think, “I’m not a real writer”. I don’t devote nearly as much time as I once did to writing. I worry that just because people liked some of RIFT, it doesn’t mean they’ll like the rest. Yet I want to write. I want to finish RIFT. I have moments where all I want to do is sit down and write. But those moments, it seems, don’t come often enough anymore; or if they do, they get pushed aside. And it’s not that I’m not in love with the story; I am. But I think, “Well, I can get to that tomorrow. I need to do this first”. Am I the only person who does this? If being a part of LTWF has shown me one thing, it’s how absolutely devoted every other contributor is. They all seem to write daily. They all put my writing pace to shame. They all write. I sit and think about writing. I struggle with this on a daily basis. I know I should write. I want to write. I think about doing it;sometimes at work, or while I’m watching a show or reading a book. But every day it’s the same thing; I put it off and do all the other things because they’re easier. Because sometimes, nothing else makes me doubt myself as much as writing. But I love writing. I can’t imagine not writing, even if (lately) I haven’t found the time to write. I just need to make the time. I need to get my act together and actually become someone worth listening to. Which I’ve started. With the help of a couple of CP’s, I write. We get together on the weekends and have writing sessions. And it works. Now I just need to learn how to write by myself again; I need to re-learn how to schedule time to write, to get away from everyone else and just put everything else on mute while I get into the zone and write – even if all I get down is a couple of paragraphs. So, that’s basically what my day-to-day life is like. It’s not glamorous, and it’s not awe-inspiring or remarkable. But my goal is to make it a life where writing occurs more frequently, with more fervor and inspiration. 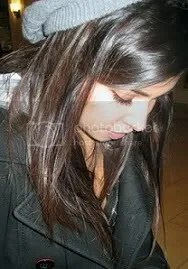 Vanessa is a Sales Assistant at Kate Walker & Co., a book and gift sales agency located in Toronto. She also has a book publishing certificate under her belt. Currently, Vanessa is working on RIFT, a YA fantasy novel, and a Children’s non-fiction series. She also geeks out over stuff at Something Geeky. When I talk to other writers, I sometimes feel embarrassed; they seem to know EVERY little detail about their story, right down to what colour shoes a secondary character is wearing. And me? Well, I keep forgetting what’s-his-name from the first 3 Chapters, and what his relation is to everything and everyone. But my MS is still a WIP – I haven’t finished writing it yet. I’ve even recently added a whole other layer to the story. So I shouldn’t be getting down that I don’t know every little detail inside and out yet. My MS is full of different cultures, political intricacies, and a bit of magic – which means I do a whole lot of world-building. When you start writing a novel, your mind is spilling with ideas. And as you write, you’re giving everyone and everything characteristics, from people to places to things. And depending on what type of novel you’re writing, you’re probably world-building to some extent. So how do you remember what that secondary character’s name is? Was it Tera? Or was it Tara? Do your characters have particular greetings or sayings? What do you do with all that information, especially when you’re still writing a first draft? While taking my Fiction Editing class, I was introduced to a tool that many editors use: the style sheet. Editors and agents go through your manuscripts with a fine-tooth comb, looking for anything and everything that doesn’t quite work (or isn’t grammatically sound). They also check for continuity issues, which can be pretty major in a manuscript. So, in order to help further polish your writing (and to help you hone editorial skills, in case any of you are aspiring editors), here’s what you do! Keep a list of character names, city names, hyphenated vs. non-hyphenated terms, dates and times, and any details you might have researched. Style sheets are also great for different spellings you might be using. How a person’s name should be spelled – do they use a full name or nickname? Do they go by an alias? Does a specific character use a pet name for that character? Abbreviations and acronyms for terms, names, countries, etc – is it U.S., U.S.A., America, the United States? A.M. and P.M. or a.m. and p.m.? Be consistent. Whether you spell out dates (ie. 1988) or write it out (nineteen eighty eight). Punctuation – serial commas, or no serial commas? As a writer, though, use a style sheet for things you would find most useful. Keep a list of things that you would want to know when writing/revising. You get the idea. It’s basically a handy alphabetical list with all the little details from your MS. Any characters, places, or cultural terms starting with the letter “a” would go under a header for “A”. The same thing goes for every other letter – that way, even if you print it out to keep beside your keyboard (or wherever you want), you can find things easily. So what do you think? Do you already create lists with all the little details from your MS? Do you think this would be a useful tool as a writer? Or do you see it more as an editorial tool? Let me know your thoughts in the comments! Vanessa is a Sales Assistant at Kate Walker & Co., a book and gift sales agency located in Toronto. She also has a book publishing certificate under her belt. Currently, Vanessa is working on RIFT, a YA fantasy novel, and a Children’s non-fiction series. She also blogs about all things geeky at Something Geeky. Sequels have the ability to both scare and excite me. I suppose on the one hand, I worry that I won’t love the sequel as much as the first book. But on the other hand, I’m always excited; because the world and the characters and the story I love is continuing. I’m able to be transported back to that place; and when I enjoy a book, it’s always a pleasure to find myself immersed in its world once more. 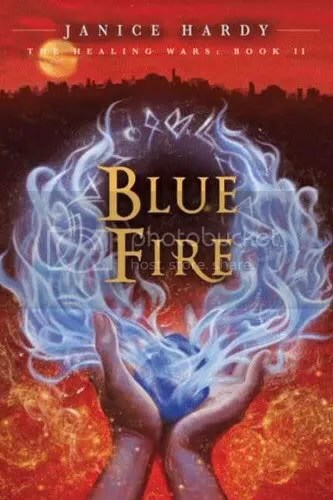 Blue Fire, the second book in Janice Hardy’s middle-grade The Healing Wars trilogy, is a great sequel. If you haven’t yet read The Shifter, the first book in the series, I suggest you check out my review of it (and then go and pick it up if it sounds like your kind of story). This is a great high-fantasy for readers young and old. The story starts right where the last book left off; but with everyone in hiding now as a result of what occurred at the end of The Shifter. Nya knows that she and all the other healers will never be safe unless they find a way to stop the Duke; but the first step in stopping someone is figuring out what exactly they’re trying to do. With trackers on her tail, Nya realizes that she must flee Geveg and ends up in the last place she wants to be: Baseer. The things I loved from the fist book carry over to this one as well. Hardy has once again written a well-paced and action-filled story, full of difficult choices that push against moral issues. While I did feel at times that Nya’s thoughts were too repetitive and heavy-handed at times, Hardy doesn’t over do it. Nya’s loyalty is put to the test when it comes to the choices of the good of one over the good of many. And she is still the strong, determined, and likable heroine from the first book. But this time, death and killing become something she must consider more and more. I really loved the descriptions and culture Hardy put into Baseer – it is full of life and colour and energy, and fills Nya with a sense of disgust as well as wonder. The fine line between the hatred of your oppressors and the realization that even the oppressors are oppressed was one of my favourite aspects of Blue Fire. Nya isn’t alone on this journey. She is accompanied by many, and befriends many more along the way. And while Nya’s friendships are believable, the romantic relationship between her and Danello wasn’t. It was lacking the spark and chemistry I was hoping for, but fortunately their romance isn’t a focal point of the story. With so much else going on, it was easy to get swept back up in the story. One of my favourite surprises in the book centers around Nya and Onderaan, a man leading an underground rebellion force – a relationship that is revealed to be a major plot development. Unfortunately, their relationship fell a little flat – it wasn’t as dynamic or as fleshed out as it could’ve been. My only hope is that their relationship will be worked on in more depth in the third book. The climax of this book was by far one of the most exciting and interesting parts of the book – with so much build-up to an epic fight, I was delighted. And the end of the book was so dark, and intense, that it left me wishing I could have book 3 in my hands already. This is a middle grade series that is definitely a great read. If you liked the first book, or enjoy high fantasy and lots of fast-paced action, then this book is for you. Before I begin, let me preface this by saying that I’m about to gush. A lot. Melina Marchetta is a writing goddess; that is what I think now that I’ve finished this book. Her first foray into fantasy is not a light one; it is deep, and dark, and hauntingly beautiful. And I honestly think that the book I’ve just put down is one of the best books I’ve ever read. You won’t often hear me saying that. The majority of books I read (and I tend to read one book a week) leave me feeling disappointed; they were either too light and airy and fluffy, or had characters I couldn’t connect with, or had a plot with too many inconsistencies, or was too predictable – really, the list goes on and on. And then I tend to find a book that surpasses my expectations, or completely surprises me – and I jump at the chance to let everyone know how much I loved it. But Melina Marchetta’s Finnikin of the Rock has made even some of the books I love pale in comparison. Simply put, it was pure brilliance. 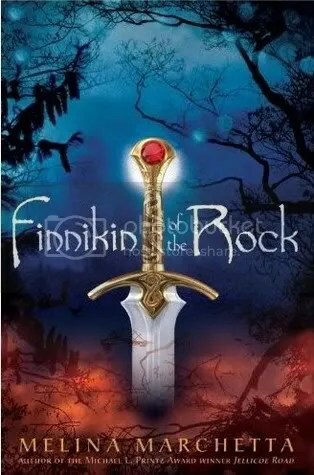 At the age of nine, Finnikin is warned by the gods that he must sacrifice a pound of flesh in order to save the royal house of his homeland, Lumatere. And so he stands on the rock of three wonders with his childhood friend Prince Balthazar and the prince’s cousin, Lucian, and together they mix their blood. And Lumatere is safe. Until the ‘five days of the unspeakable’, when the King and Queen and their children are slaughtered in the palace. And an imposter king takes the throne. And a curse is put on Lumatere, which traps those caught inside and forces thousands of others to roam the land as exiles, dying of fever and persecution in foreign camps. This is a story about one young man’s quest to save his homeland; the story about a people – a country torn apart – coming together to unite once again; a love-story so dark and intense and confusing that it will, at times, leave you with an aching heart. Finnikin’s quest leads him on a road that will eventually take him back to the place he belongs in; the place taken away by invasion and dark magic. But his path isn’t easy – it is grim and dire, and yet he is able to find hope through Evanjalin – hope in the belief that Prince Balthazar is alive and that they will be able to return home. What is so brilliant about this novel is how it looks at humanity and suffering, and how Finnikin comes across people who have faced oppression and cruelty. Some of these people are broken already; but others still have hope, even though their world is crumbling at their feet. There is the belief that they will be led back to the place that belongs to them; that they will once again have a home, and be among those they unwillingly left behind. There is the belief that the false king will be dethroned, and that the true King of Lumatere will be crowned once again; that the curse will be lifted. But nothing is quite as it seems, and Evanjalin will test and manipulate Finnikin. And Finnikin, in return, will end up finding himself struggling to accept his destiny. For an author who has never written in the fantasy genre before, she is great at it. Her world-building is fantastic – it is full of depth and history and culture and religion and political intrigue. And magic! This is a world with substance – a place that feels so extraordinarily real in its fantastical way. Coupled with her beautiful prose, you’ll find yourself relishing her every sentence. But Marchetta’s greatest strength lies in her characters. This is a writer who understands the complexities of human nature and relationships; of heartache and doubt and uncertainty. She is able to make her characters live and breathe. Her characters are not easy to understand; and they are not always likable. There are times when they are so infuriating, when you find them lying and harming one another to the point of disgust; and yet somehow, their realness will creep into your hearts. They are some of the most compelling characters I’ve ever had the pleasure of getting to know. These are characters willing to risk everything for what they believe in, even if their beliefs are not always the same. And you will want to root for them; you will genuinely want them to prevail, to find happiness. And Evanjalin? She is brilliance. If there ever was a character whose motivations and actions are dubious, and whose thoughts are complex and confusing, she is it. She, like Finnikin, is not weak. While they both have moments of weakness and unease, they are not by any means powerless. She is strong-willed and capable, resourceful and manipulative, and very much determined; moreso than any other character. And it is her determination, and her strength, that propels everyone forward towards their destinies. She is the key to Prince Balthazar; the catalyst to Finnikin and the role he plays in bringing their people together. There may not be huge epic battles or constant sword-fighting occurring throughout, but that isn’t to say that there aren’t any great fight scenes: there are. And when they happen, they are satisfying. But the book focuses more on the internal battles the characters face, and the obstacles they find in their lack of trust in one another. As for the romance, I adored every minute of it. The connection was real, as was their chemistry. But if you’re looking for a romance with lots kissing and love triangles and fluffy sweetness, you won’t find it here. This is a romance of the epic kind – a romance between two people meant to be together, and who struggle not only with themselves, but with each other. So yes, I loved this book. There is so much more I could say, but I’m not sure it would actually be helpful, as it would only involve me gushing adoringly over all the other characters and plot twists in this book. But I do hope you decide to pick this up. In fact, I think you should definitely pick it up. Is this the type of book for someone who isn’t into dark fantasy? Maybe not. But if you like fantasy, this is a must-read. If you love beautiful prose, this is a must-read. If you love dark, complicated stories, this is a must-read. If you like characters who are the most complex, infuriating, flawed, brave, and interesting, then this book is a must-read. If you are looking for a love story full of passionate embraces and constant physical contact, you will not find that here; but what you will find is a romance that blossoms from more than just the physical; a romance that is deep and satisfying and true. If you are looking for an epic story that is thought-provoking, this is it. Marchetta’s book is up there for me with the works of Philip Pullman, Garth Nix, Tamora Pierce, Margaret Atwood, and William Nicholson – all favourite authors of mine. So if you listen to me and decide to only pick up one book I recommended, this is the one. You will not be disappointed. Vanessa is a Sales Assistant at Kate Walker & Co., a book and gift sales agency located in Toronto. She also has a book publishing certificate under her belt. Currently, Vanessa is working on RIFT, a YA fantasy novel, and a Children’s non-fiction series. She also geeks out over at Something Geeky. Thieves are awesome. If you’ve read Megan Whalen Turner’s The Thief (which you really should read), or loved Aladdin, or adored “Flynn Rider” from Disney’s Tangled (which you really should watch), or are charmed by the prince in The Prince of Persia games (which you really should play) or enjoyed books by Tamora Pierce (there are a few thieves in her worlds, like George Cooper from the Alanna series), then you probably know what I’m talking about. I love thieves. Somehow, when they end up in a story (be it in a book, or a movie, or a video game), they end up stealing my heart (ahaha, sorry… I couldn’t help myself). 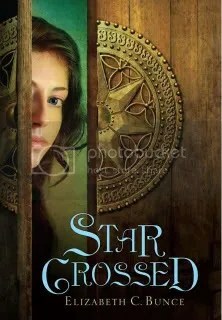 Elizabeth C. Bunce’s new YA novel, StarCrossed, doesn’t have a title that sounds like a story centered around a thief; it sounds more like a Romeo & Juliet type of story, with star-crossed lovers and tragic endings. But Bunce’s novel is full of courtly politics, intrigue, deception, rebellion, forbidden magic, and quite a bit of stealing and sneaking. Digger thrives as a spy and sneak-thief among the feuding religious factions of Gerse, dodging the Greenmen who have banned all magic. But when a routine job goes horribly wrong and her partner and lover Tegen is killed, she has to get out of the city, fast, and hides herself in a merry group of nobles to do so. Accepted as a lady’s maid to shy young Merista Nemair, Digger finds new peace and friendship at the Nemair stronghold–as well as plenty of jewels for the taking. But after the devious Lord Daul catches her in the act of thievery, he blackmails her into becoming his personal spy in the castle, and Digger soon realizes that her noble hosts aren’t as apolitical as she thought… that indeed, she may be at the heart of a magical rebellion. See? Rebellion! Spys! Dead lovers! How can you not want to read that? But as exciting as that is, there is so much more to this novel. First, the world-building is phenomenal. Set in a land full of political intrigue and danger, Digger’s world is rife with numerous gods, multiple moons, religious wars, a frighteningly powerful Inquisition, and castles with secret passageways. And the magic! It adds to the secrecy surrounding Digger and the others. Unfortunately, the story begins with a few too many characters (some of whom never make another appearance, though I imagine they might play a larger role in the sequel) and a few too many coincidences that just don’t feel right. The way Digger is able to escape the city with a group of nobs (nobles), or the way she easily becomes a lady’s maid – even though the nobles around her know nothing about her – comes off a bit heavy handed. But if you can look past the awkwardly contrived beginning, the story really fills out into an epic adventure with compelling characters. I, for one, am incredibly glad I was able to look past it and just get swept up in the rest of the story. Bunce is wonderfully talented at creating multi-dimensional characters- and Digger is a wonderful protagonist. Though truth be told, there were times where I felt her character fell flat in comparison to other characters, but midway through the novel, Digger really starts to shine. What I really enjoyed was how unreliable a narrator she is – how she keeps things from even us, the reader. It makes for some great twists and delightful surprises. She is talented, resourceful, and wonderfully independent. Her curiosity gets the better of her, as does her greed – which makes her a wonderfully flawed character. Digger is definitely not perfect. And though at times I felt frustrated and a bit confused by her wavering loyalties, by the end I was completely endeared to her. And her lack of loyalty is justified – being a thief, she knows firsthand just how devious people can be. Merista is another well-written character. The daughter of the wealthy noble family who has taken Digger in at Bryn Shaer has one of the most gratifying coming-of-age arcs. Beginning as a girl who doesn’t even seem comfortable around herself let alone around her estranged (but loving) parents, Merista blossoms into a strong women capable of taking things into her own hands. From a meek little girl she becomes a proud young woman. I could probably go on about all of Bunce’s characters. One of my favourites appears halfway through the novel – but to avoid spoilers, I won’t start naming names! Suffice it to say, he’s a character worth the wait. And he brings out a side of Digger that makes her even more compelling. The plot is intricate and full of twists and turns. And while the first half of the book doesn’t have much action (and instead focuses on building the tension and suspense, and developing the characters), the second half truly delivers all the action you could want. The buildup is definitely worth the wait. The first in a trilogy, StarCrossed is a wonderful read. From the wonderfully detailed settings and lush descriptions, to the bright characters and suspenseful plot, it is definitely a must-read. I can’t wait to read the sequel, Liar’s Moon! Fans of Tamora Pierce and Megan Whalen Turner won’t be able to put this magical book down. I am a huge fan of fairytales; and an even bigger fan of fairytale retellings. And though I know I’m late to the party with Shannon Hale’s The Goose Girl (which was originally published in 2003), I’m only sad that it took me so long to finally pick up this book. I absolutely adored this book; I loved every page of it! And I’ve already picked up the other books in The Books of Bayern series. Based on the German fairytale of the same name, the story follows a young princess who is sent off by her mother to be married to a prince in another land, with her talking horse Falada and a waiting-maid accompanying her. The waiting-maid steals the identity of the Princess when they arrive in the new kingdom, and the real Princess is forced to become a Goose girl. For those who aren’t familiar with the fairytale and don’t want the rest of the story spoiled, I’ll stop there. I actually started reading this book without knowing the actual fairytale it was based off of, and so I read it not knowing exactly how it would play out (which, of course, made certain key elements shocking and exciting). But even if you do know the fairytale, you’ll still be wonderfully surprised. She was born with her eyes closed and a word on her tongue, a word she could not taste. Anidori-Kiladra Talianna Isilee, Crown Princess of Kildenree, spends the first years of her life under her aunt’s guidance learning to communicate with animals. As she grows up Ani develops the skills of animal speech, but is never comfortable speaking with people, so when her silver-tongued lady-in-waiting leads a mutiny during Ani’s journey to be married in a foreign land, Ani is helpless and cannot persuade anyone to assist her. 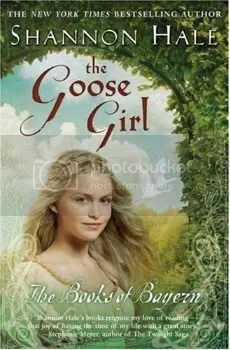 Becoming a goose girl for the king, Ani eventually uses her own special, nearly magical powers to find her way to her true destiny. From the Grimm’s fairy tale of the princess who became a goose girl before she could become queen, Shannon Hale has woven an incredible, original, and magical tale of a girl who must find her own unusual talents before she can lead the people she has made her own. Hale’s prose is wonderfully lyrical, which is hinted at in the summary from Goodreads above. Reading The Goose Girl, I couldn’t help but notice just how beautiful the words flowed together; and how smooth her dialogue and prose were. This is Hale’s greatest display of her craft – the easy way in which it seems she has placed perfectly-chosen words for the page. She is brilliant at it. But that isn’t the only thing Hale does remarkably well. The story in The Goose Girl is also well-crafted, and thoroughly captivating. I didn’t want to put this book down – and every time I did, I couldn’t help but think of the world and the characters Hale had created. The world building in the first of the Books of Bayern series is fully realized. Full of lushly detailed settings, wonderfully different cultures, and a touch of magic, Shannon Hale has created a world that has quickly become one of my favourites. Princess Ani is one of the most likeable characters I’ve ever had the pleasure of reading. The meek young woman you meet at the beginning of the story (though a Crown Princess by title) doesn’t have the strength of one. But once a goose girl, Ani grows by leaps and bounds into a strong heroine. And it isn’t only Ani who is compelling – Geric is loveable, Selia is incredibly devious, and even Falada, Ani’s horse, will find a way to your heart. And the magic! Absolutely wonderful; it is woven into the story perfectly. Hale has crafted a world of magical speech; of people-speaking, animal-speaking, and nature-speaking. And though she doesn’t posses the persuasive gift of people-speaking that her mother the Queen does, Ani’s own gifts will truly shine through in their own right. If you love fantastic adventures in Medieval worlds with a strong heroine, you’ll love this book. Full of deception, intrigue, treason, and redemption (and a little bit of romance), this book was a wonderful read in so many ways. So pick it up; it’s definitely found its way to my favourites shelf, and I’m sure it’ll find it’s way onto yours. Vanessa is a Sales Assistant at Kate Walker & Co., a book and gift sales agency located in Toronto. She also has a book publishing certificate under her belt. Currently, Vanessa is working on a YA fantasy novel and a Children’s non-fiction series. Room is all that 5-year old Jack has ever known. His entire world measures 11×11 feet. But to Jack, that is all he needs. I can’t stress enough just how much I loved this book. 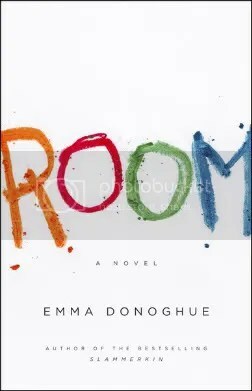 Emma Donoghue has written something that is all at once haunting, dark, beautiful, and hopeful. And long before I turned the last page, I was completely blown away. Told entirely from the P.O.V. of little Jack, this novel has one of the most endearing, lovable narrators ever. I was worried that it might be gimmicky; that a dark story told from the P.O.V. of a child would sound contrived, but Jack’s voice is completely believable – and wonderfully compelling. Think it sounds dark? It is an incredibly chilling story. And told from the P.O.V. of innocent Jack, it can be at times even creepier – especially when we learn of the dismal and horrifying things from Jack’s innocent perspective. His innocence highlights the ugly, and made me cringe in disgust even more. But somehow this book ends up being one of the most uplifting books – the love between Jack and his Ma is one of the most profound relationships I’ve ever come across. And one of the most genuine. Inspired by horrifying cases of imprisonment like that of the Josef Fritzl case, the story centers around a very dark theme. And yet somehow this book manages to highlight the wonderful relationship between Jack and his Ma – and their extraordinary love – despite all the disturbing threads underlying the story. Their love is what redeems the story – what keeps it from being melodramatic and miserable. Emma Donoghue’s characters are wonderfully flawed; even little Jack throws ugly tantrums, and his Ma has a number of dark moments. I don’t want to spoil the story by saying too much, but I guarantee that once you start reading, you won’t be able to put the book down. Though at times I found it to be a bit on the slower side, Jack’s voice kept me turning the pages. All the little details make his narration so utterly irresistible; his unawareness of the outside world, his inability to understand that things like grass and ice cream and other people are real, and his lack of social interaction with anyone else but his mother is what makes the book an absolute wonder to read. And halfway through, you’ll find your heart pounding as the suspense builds. There are also some moments that are incredibly terrifying. Ultimately, this is a book about recovery – about pulling through the hard times, no matter how terrible they are – and how love and compassion can keep you going. This book isn’t typically about good triumphing over evil and justice prevailing, but about conquering your fears, and moving on, and loving so fiercely that you can overcome unimaginable pain and sorrow. 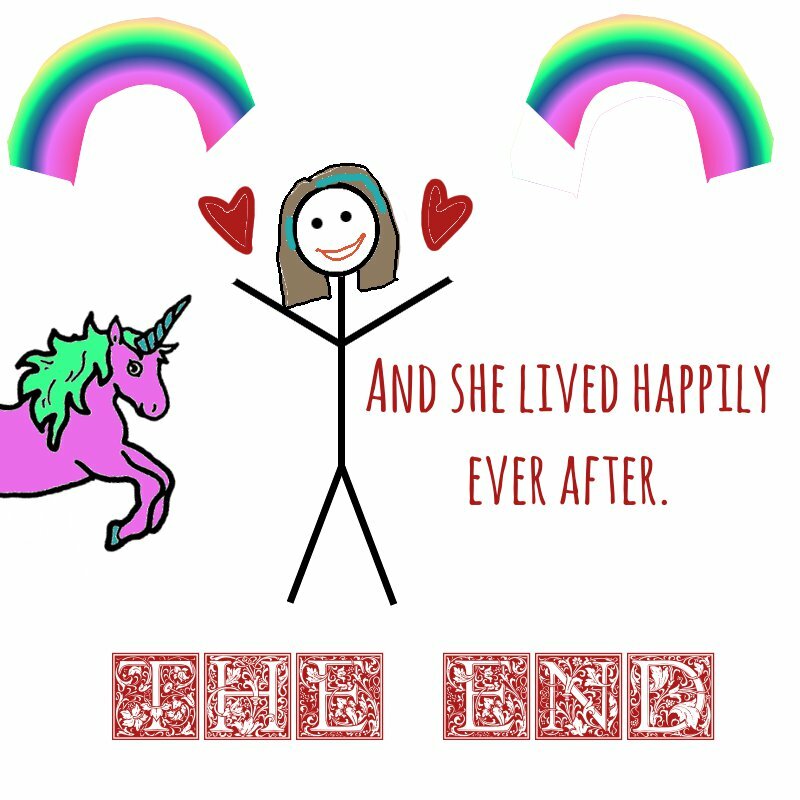 And now that you’ve read that, I need you to watch this book trailer. It is quite possibly one of the best book trailers I’ve ever seen – as soon as I saw it, I ran out to buy the book. So watch it. And then read it. It is absolutely wonderful. Vanessa is a Sales Assistant at Kate Walker & Co., a book and gift sales agency located in Toronto. She is also enrolled in a publishing program. Currently, Vanessa is working on a YA fantasy novel and a Children’s non-fiction series. Vanessa has been amazing, running the twitter account, taking care of the Saturday Grab bags, and getting us books to review. We never even realized how much she did until she needed to take a little break to plan for her wedding. So LOTS of love for Vanessa, and a big CONGRATULATIONS!! 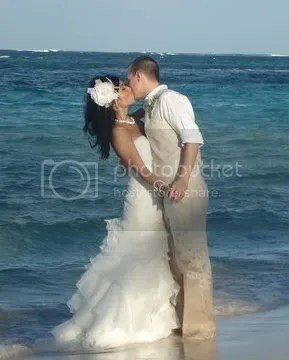 Have a wonderful honeymoon, V!